Not so long ago, I posted a review of an Ella eBook called Vintage Hip Christmas Crafts by Margie Romney-Aslett. It was a wonderful book showcasing numerous projects with Margie's vintage flair. 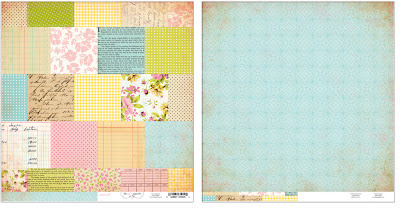 Well...now we can all bring a bit of Margie's flair to our own projects as she created her own line of scrapbooking products under the name of The Girls Paperie. Her two debut collections - Paper Girl and On Holiday - are now beginning to hit store shelves. 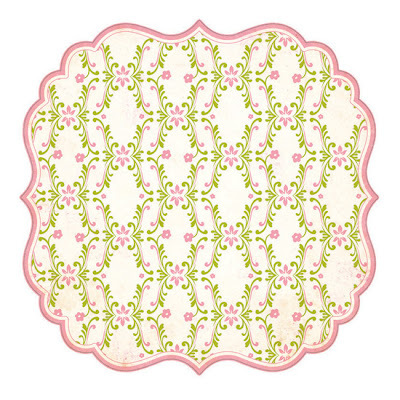 Both lines include a mixture of both die cut and standard double-sided papers with lovely patterns and colors. Here are just a few of my favorite papers from the lines. 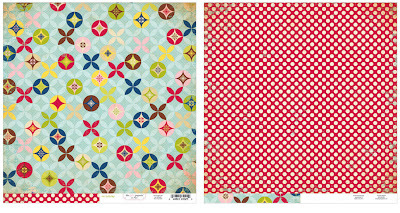 From Paper Girl, Wall Paper and Vintage Patchwork have to be my favorites. 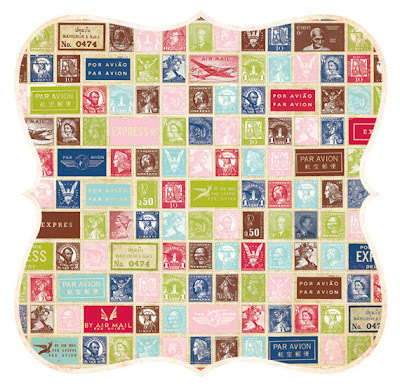 From On Holiday, Stamps and Travel Skirt top the list. The Girls Paperie reminds me a little bit of Making Memories and little bit of My Mind's Eye, yet has it's own distinct style at the same time. This is certainly one new manufacturer that will be getting its own folder in my stash of supplies! Of course, each collection has it's own set of complete embellishments which are just as stunning and although not all of these have made it to stores just yet, you can view the complete collections on The Girls Paperie website.